The AlphaView AVC2F6P-2 LCD is designed for surgical environments where high resolution, viewability, image size and flexibility are a must. The AVC2F6P-2, our 55” medical display, is uniquely equipped to handle tasks in today’s demanding OR environment. 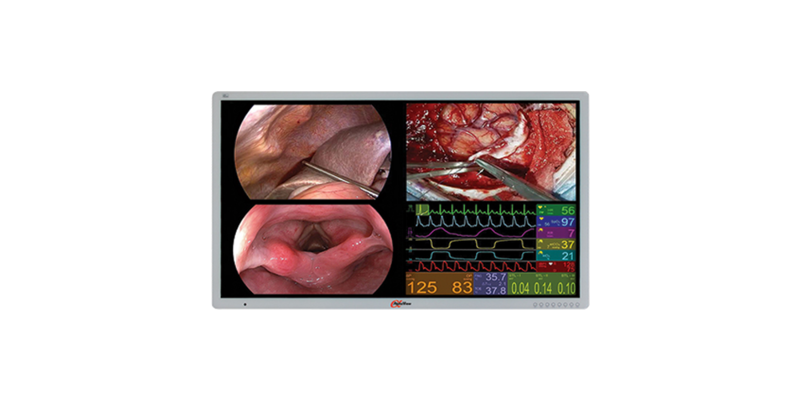 The AVC2F6P-2 is the ultimate in large screen medical grade displays. This 4K Ultra High Definition on display is suitable for showing multiple 1080P images at sizes big enough to remain visible across the operating room. Multi signal inputs allow for windowing options using picture in-picture and picture-by-picture layouts. The AVC2F6P-2 is the largest display in AlphaView’s product line, features LED backlighting, an internal power supply, and handheld remote. It also features an edge-to-edge protective glass faceplate for easy cleaning and maintenance.